Education: B.S. Social Studies, Oakland City College; M.S. 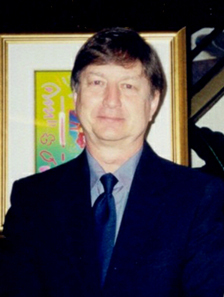 Social Sciences, Indiana State University; other studies, University of Southern Indiana; Indiana Wesleyan; Oakland City University; and University of Tennessee. Background: I have been an educator for 41 years. Currently, I am employed as an adjunct professor of social sciences. I also hold three public school teaching licenses in the Indiana. One of those licenses qualifies me to teach general science at the middle school and high school levels. I have also served my community as a National Weather Service (NWS) spotter for many years. Between 2003 and 2007 I was a free-lance photojournalist for a small town newspaper. During that period of time more than eight hundred of my news photographs and approximately twenty-five of my news articles were published. I have always had a passing interest in UFOs, crop circles, and astronomy. However, the interest in crop circles became very intense after visiting a crop formation in Huntingburg, Indiana in 2006. 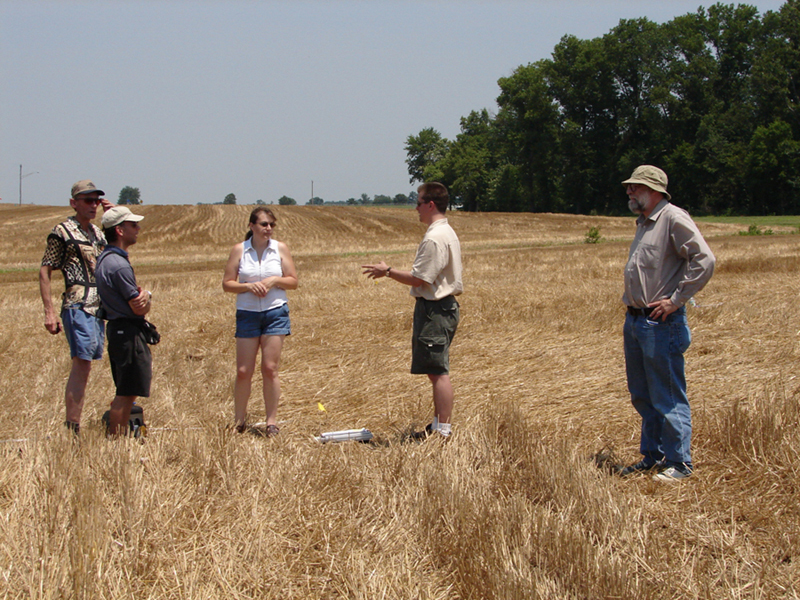 Curiosity about that formation brought me to the crop formation and to a meeting with Jeff Wilson and the ICCRA. In meeting the members of ICCRA, I was made aware of scientific mysteries discovered in authentic crop formations. After taking a few photographs in that formation, I also discovered mysterious orbs in one photo and that intensified my interest in the subject to an even greater extent. I spent a year-and-a-half studying available information about crop circles. I read several books written about crop circles and did extensive research on the internet during that period. I also contacted several of the world’s leading researchers in the field asking additional questions and expressing ideas I had about the subject. After my research, I wanted to share what I had learned with the public. 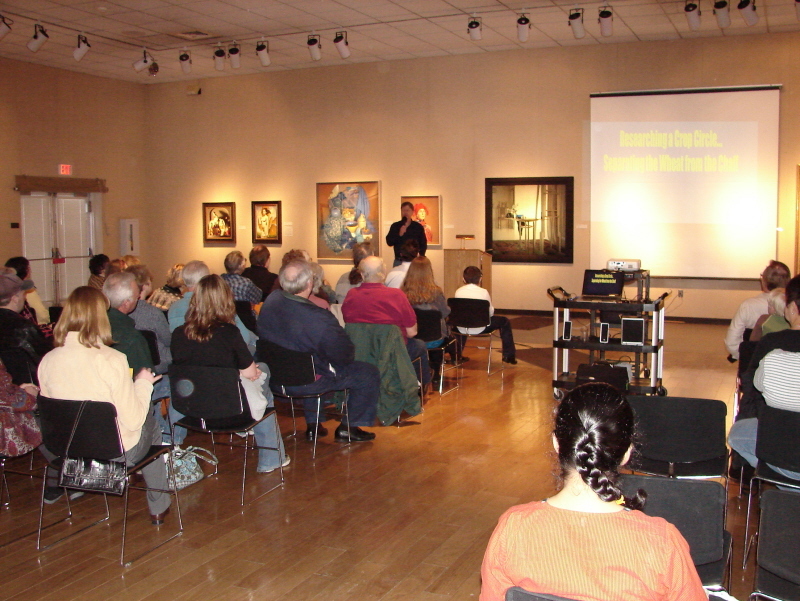 I began to give lectures at libraries and museums in southwestern Indiana. Among those presentations was one at the Evansville Museum where an audience of fifty-five people was in attendance. I recently gathered information about an old UFO case in southern Indiana which may turn out to have been a plasma event with characteristics seemingly associated with crop formations. I am looking forward to continued research into this mystery, with the hope that something profound will come from the research efforts of so many people. The discovery of the answer to the crop circle mystery may come as an understanding of a natural but unknown force, or it may reach into a totally new realm. I hope to be a part of the adventure and the research effort. The crop circle program is titled: "Researching A Crop Circle . . . Separating the Wheat from the Chaff." Jann and I worked as a team during our years as photojournalists. She had nearly 140 news photos and approximately 50 news articles published during those years, covering subjects ranging from gardening topics to an article profiling a forensic scientist. 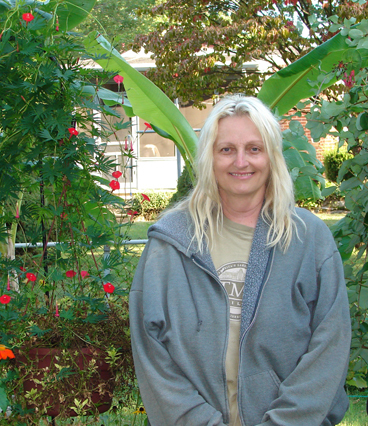 In addition to her interest in crop circle research, Jann’s other interests include providing hummingbirds with an attractive and safe habitat during their stay in southern Indiana, after their migration northward in the spring. She has shared what she has learned over the years by giving lectures at libraries, garden clubs and the local Master Gardener’s Seminar. 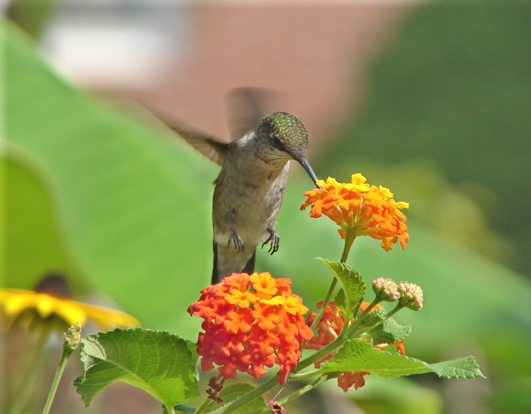 An article about Jann and her hummingbird interests was published in the August 2009 issue of Birds and Blooms magazine. Jann's Educational Background: B.A. from the University of Evansville with a major in Biology and a minor in Chemistry.